Beginnings. The El Rancho Vista Estates Press Release from 2010: A new neighborhood organization has been born. El Rancho Vista Estates is proud to be the newest neighborhood organization in the city of Palm Springs. For this small community of mid-century homes, located just past the airport near where Gene Autry Trail and Vista Chino meet, it represents another step towards greater recognition not only as an architecturally pleasing and historically significant neighborhood but one that will join together its residents to make this already terrific community an even better place to live. The board will meet monthly. All residents of ERVENO are welcome and encouraged to attend and participate. As a united force, this neighborhood organization will have a greater say in urgent matters when communicating with the city. Having this neighborhood organization will encourage the community to do things together on both professional and more casual levels. It brings together neighbors that may not have met each other before, and unites El Rancho Vista Estates as a team. El Rancho Vista Estates buzzed with excitement in 2010. 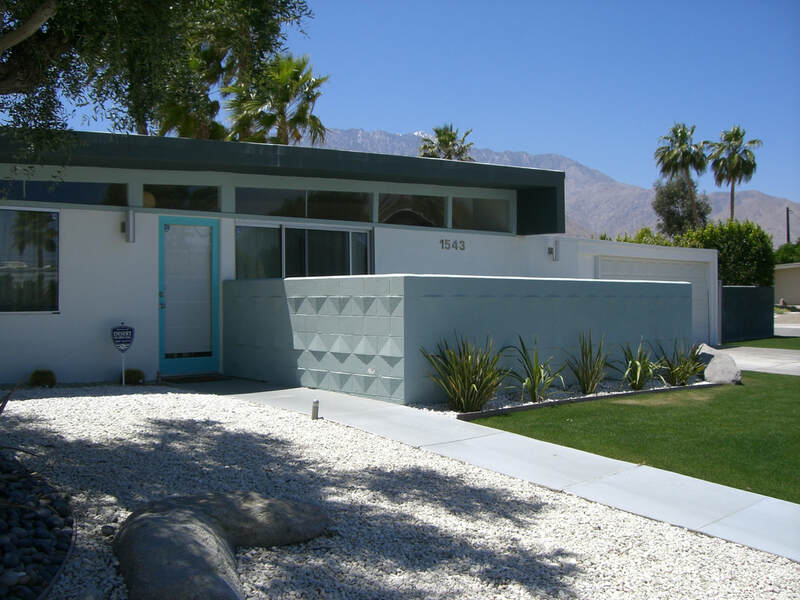 In January, the community was prominently featured during Wexler Weekend, with many home owners opening their doors to tours for mid-century modern enthusiasts. Soon after, “Gateway” Park, that runs alongside Gene Autry Trail opened and is a destination for both El Rancho Vista Estates dwellers and residents from nearby communities as well for relaxing and playing bocce ball. Futuristic orbs light up the paths at night. A large, modern Palm Springs sign welcomes visitors to the city who are just entering city limits, approaching from the Palm Drive/Gene Autry Trail exit off Interstate 10. 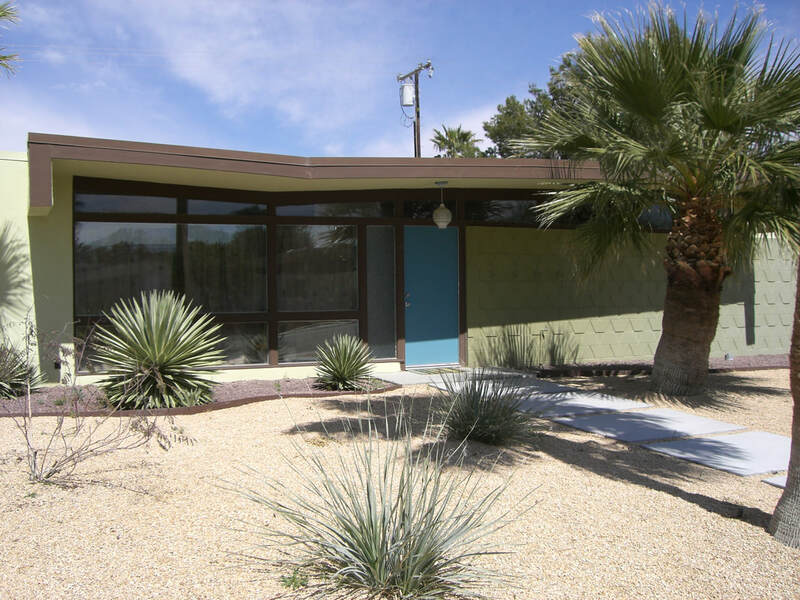 For 2012 the neighborhood held it's first home tour during Modernism Week. The tour sold out quickly and 250 visitors from all over the world enjoyed a morning of sight seeing followed by a backyard reception. Donald Wexler was in attendance and spoke with many of the guests. Fast forward to 2013: Repeat performance! For 2013 we included full color 16 page brochures that summarized the history of each home and told a bit about the owners. 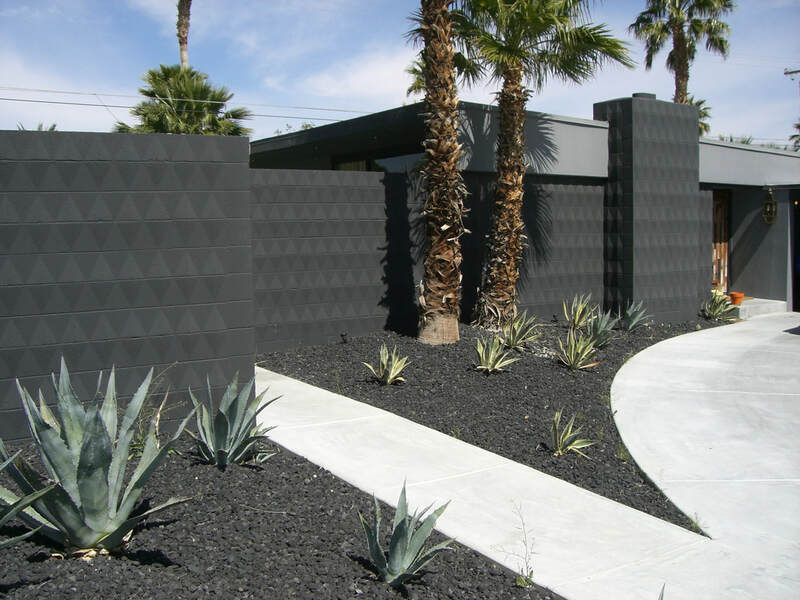 In 2005, the City Council formalized a process for officially recognizing neighborhood organizations throughout Palm Springs. City officials have increased opportunities for citizen involvement and built strong partnerships between City Hall and the community through these recognized neighborhood organizations. The Office of Neighborhood Involvement provides residents with responsive, coordinated services that promote and support collaboration and communication through the recognized neighborhood organizations. For additional information, contact the El Rancho Vista Estates Neighborhood Organization at ERVENOPS@gmail.com.